Purchase Fred Darian CDs online! At the bottom of each discography listing is an “Add CD To Cart” button that will add your selections to the shopping cart. Your secure payment is processed by PayPal, and all major credit cards, as well as PayPal transfers, are accepted as methods of payment. Orders are shipped via USPS to the U.S., Canada and other international locations. from original Cordak Records master tapes. First time on compact disc from original master tapes assembled from the tape archives of Gold Star Recording Studios in Hollywood, California. This collection of original renditions of recorded vocals by Fred Darian are presented in this collector series in response to numerous requests from loyal followers, collectors and fans of Fred Darian. 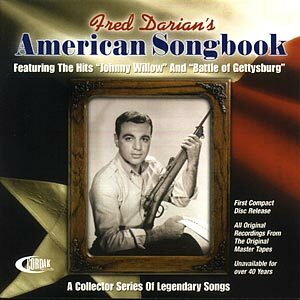 Many selections in this series have been composed by Fred Darian with his co-writers and partners Joe VanWinkle and Al DeLory. The songs were originally released on the Jaf and Cordak record labels on 45RPM from 1951 through 1965, some of which gained prominence on the Billboard and Cash Box charts. 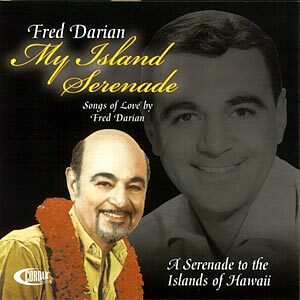 This collection of exotically romantic songs of love is presented by Fred Darian who lends his richly warm vocal tones to caress the tender lyrics of these melodies of the islands. In every haunting refrain one can hear, feel and recall the nights of love and pleasure that only the islands of Hawaii offer every visitor and Kama’aina. Fred Darian has appeared in may of the hotels and clubs on the mainland and throughout the islands, captivating his audiences with his vocal artistry. His smooth and subtle vocal presentation recreates visions of paradise to the listener. He has captured the charm and allure of this Paradise of the Pacific by using his vocal talents masterfully in this collection of melodic beautiful songs of enchantment.